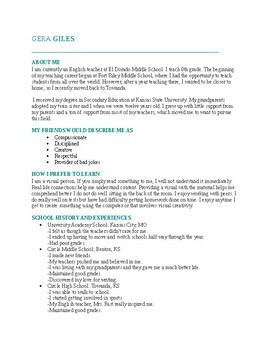 I wanted to create a lesson that students could complete to introduce information about who they are. I also wanted the lesson to apply to English and a skill they would need to have for the future. 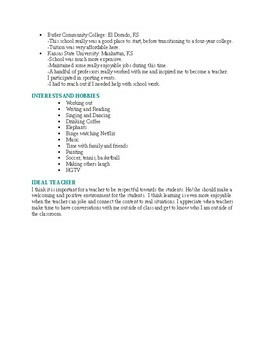 This activity has students build a Resume, except this resume lists things such as: hobbies, educational experience, interests, goal etc.